Rebecca Hanover is a young adult author and television writer. 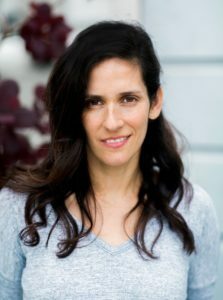 She earned a bachelor of arts from Stanford University in English and drama and won an Emmy in 2008 as a staff writer on the CBS daytime drama Guiding Light. Her debut novel THE SIMILARS—a BookExpo 2018 Editors’ Buzz Pick—will be published in January, 2019 (Sourcebooks Fire). Then she comes face-to-heartbreaking-face with Levi―Oliver’s exact DNA copy and one of the Similars. Emma wants nothing to do with the Similars, except she keeps getting pulled deeper into their clique. She can’t escape the dark truths about the clones or her prestigious school. No one can be trusted… not even the boy she’s falling for with Oliver’s face. I’d love to hear from you! Follow me on twitter or Instagram @rebeccahanover.